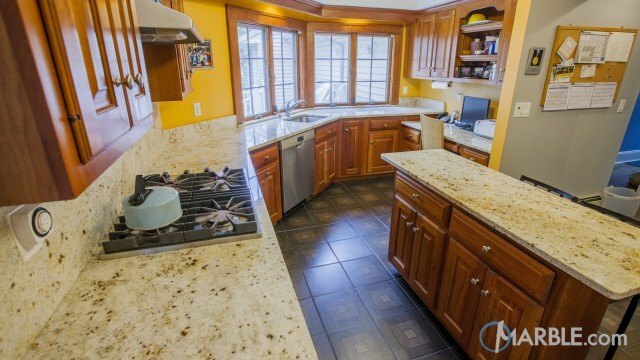 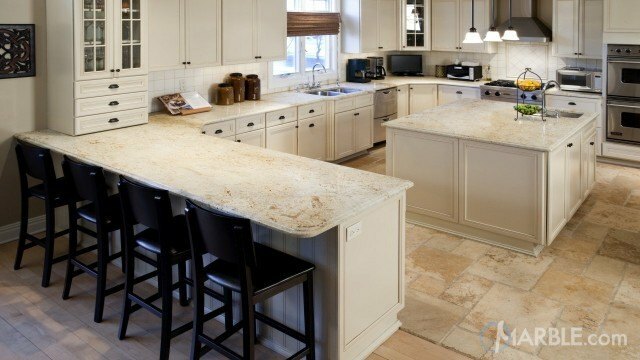 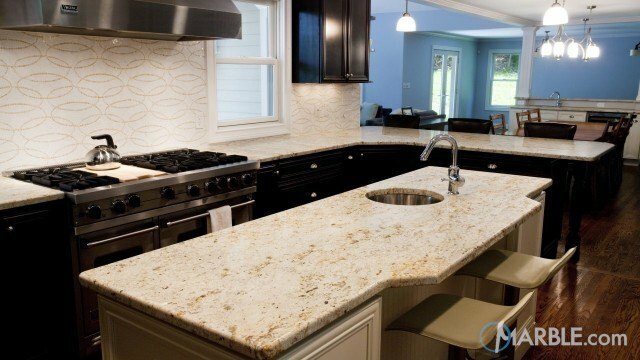 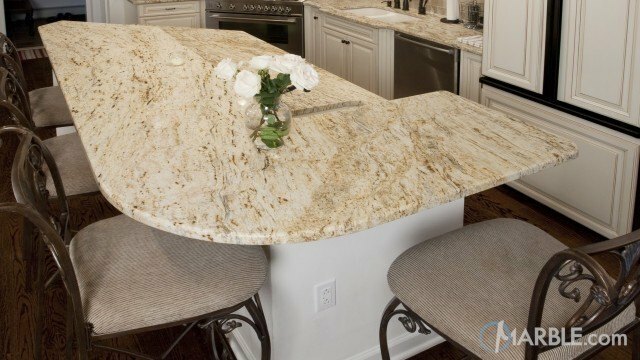 Colonial Gold Granite is a generally consistent natural stone with slight movement. 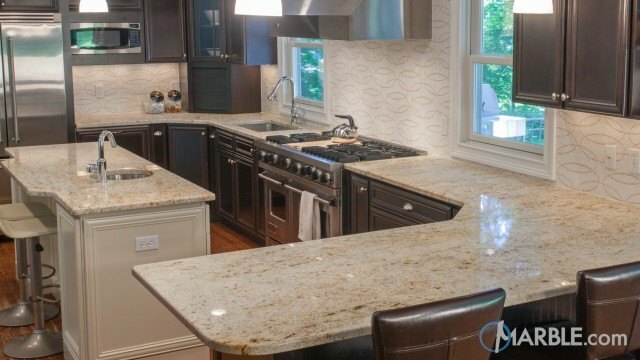 Small maroon speckles scattered over the entire stone offset the subtle color combination of white, grey, and beige. 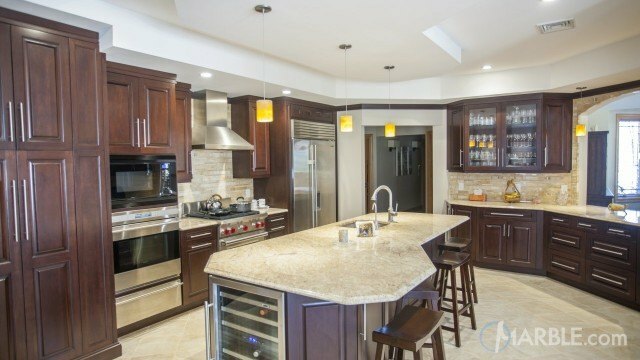 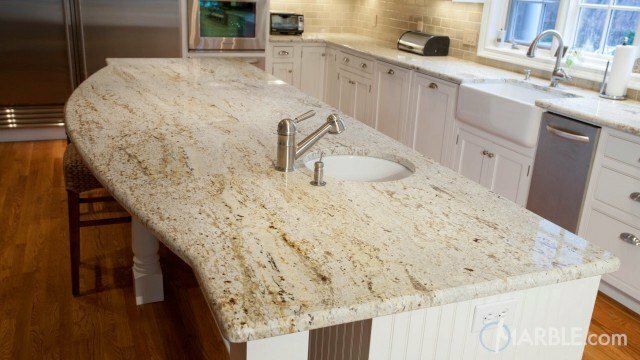 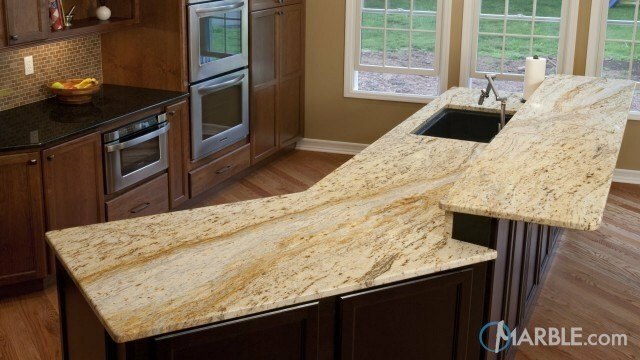 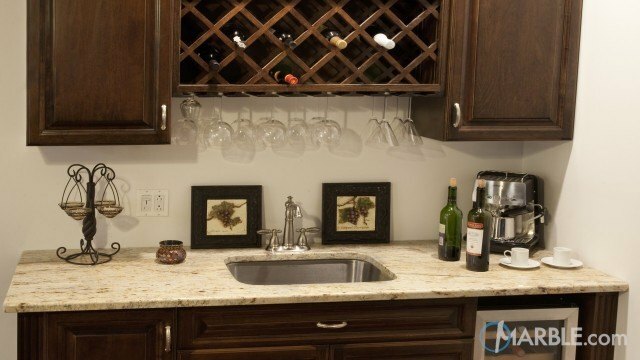 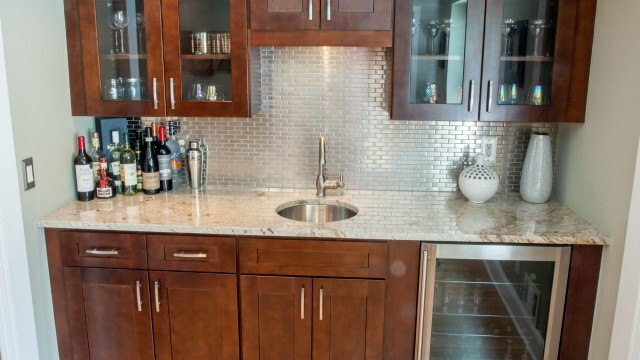 Colonial Gold Granite is ideal for all applications, from fireplace surrounds to kitchen countertops.